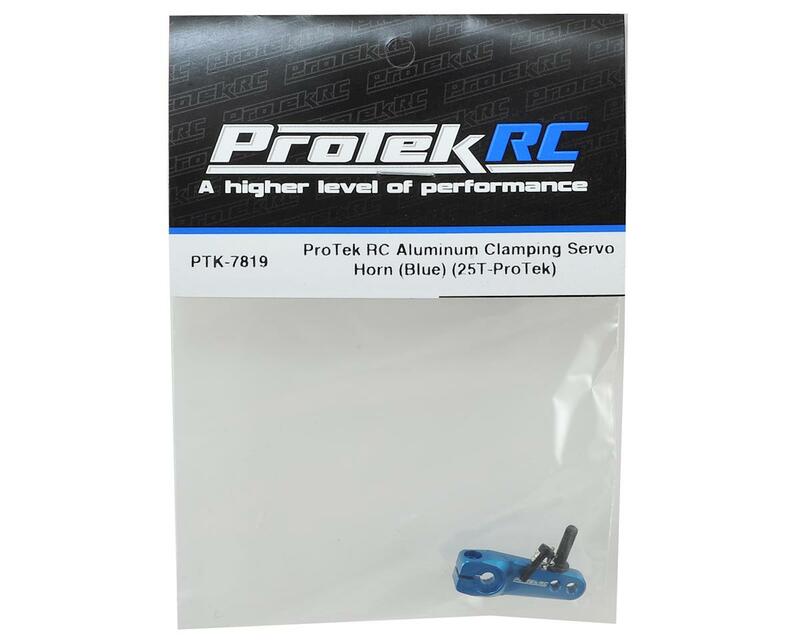 This is replacement ProTek R/C Aluminum Clamping Servo Horn, intended for use with ProTek R/C servos. This extremely tough servo-horn has been machined from a solid block of aluminum for incredible precision, rigidity and durability. The horn features a clamp type design that grips the servo’s output shaft so if the retainer screw comes loose, the horn will have a better chance of remaining in place, increasing your chances of finishing the race! Plus, the horn has a 3.5mm thick arm for durability, with 16.5mm and 20mm hole spacing threaded for 3mm hardware to suit the geometry and hardware requirements of most vehicles. 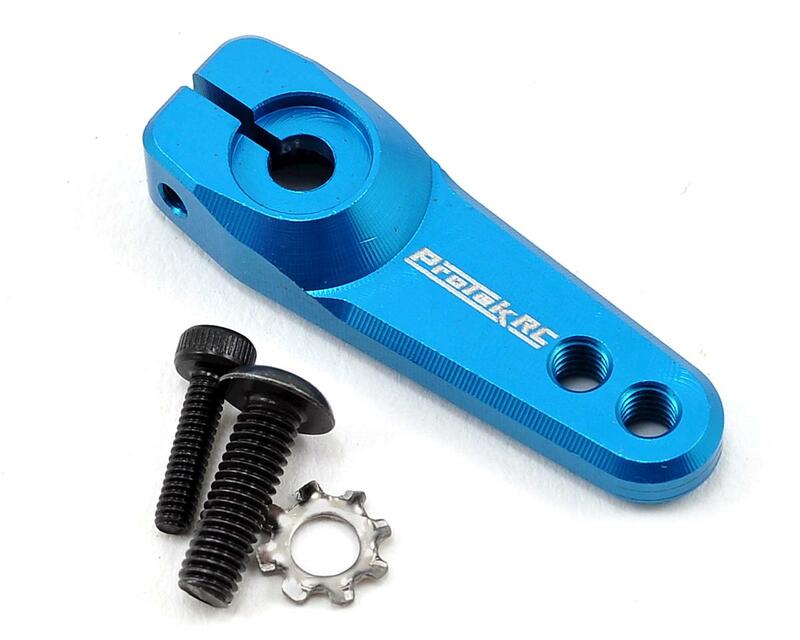 Package includes one blue anodized servo horn, 3x10mm button head screw, 2x7.5mm clamp screw and a star lock washer.